We’re happy to announce that Buckie has been adopted. (well, I’m heartbroken, but happy nonetheless.) 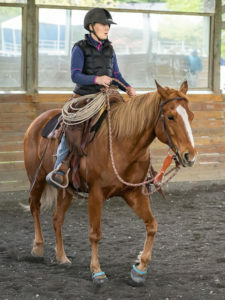 His new home is in Beavercreek, OR, with a wonderful couple — Kathy and Kevin– who were looking for a horse that their grandkids could ride. They met Buckie and Shante at the SAFE Benefit Show, and were interested in adopting both horses. 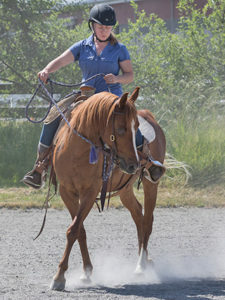 At a second meeting, Kathy rode Shante and decided he was perfect for them, but Buckie was slightly off at the trot, so he was not ridden. But Kathy and Kevin offered to take Buckie anyway, as a foster with the possibility of adopting. 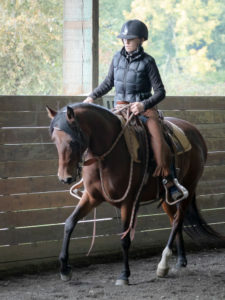 I’m happy to say that they fell in love with the little guy, and despite the fact that he may not be a suitable mount for an inexperienced rider, they have decided to adopt Buckie as well.